A while ago, I paid a visit to the dentist this week for my routine dental hygiene care. I have had significant periodontal problems for decades that require constant care and diligence, so I have come to know what to expect. The hygienist not only scales the teeth with a hand tool, but also uses a probe to check for periodontal pockets and does ultrasonic scaling. The ultrasonic scaling is also very uncomfortable when she hits on exposed dental surfaces. The probe is quite painful, depending on how deep and hard it’s pushed. You can’t help but flinch every time she pokes. Over the years I’ve tried to develop various coping strategies, because these procedures are not done under dental anesthesia. Listening to music or white noise can be distracting and decrease or lessen the discomfort. Of course, one can take ibuprofen half an hour to an hour before the procedures to decrease the discomfort. Some people use Xanax for this purpose. A narcotic painkiller is probably overkill. Being a holistic physician, and trained in acupuncture, I have resorted to acupuncture/magnetic therapy approaches. Magnets placed over acupuncture points have a gentle stimulation action on these points, like acupuncture needles might. As we all know, acupuncture point can be stimulated many ways, pressure, friction, heat, ice, light, lasers, electrostimulation – as well as magnets. There is an acupuncture point in the hand in the space between the base of the thumb and the hand bone below the index finger. This is called the Ho Ku or Hegu point. This point is frequently selected for headaches as well. Also, the acupuncture meridians all come up through the neck and go to the head. This is another location where stimulation may be used to help reduce discomfort from dental procedures. So, you can use a magnetic necklace, preferably one where every bead is a magnet, placed around the neck at least half an hour before you see the dentist. You can also use fridge magnets to be taped on the hands over the Hegu point, or large intestine 4 point, one on each hand. This time when I went for my dental hygiene appointment, I decided to try out my FlexPulse device to stimulate the Hegu point. You would place one coil on each hand and turn on the device at max intensity to run for the entire time of the visit. The magnetic field produced by the coil will go through this whole area including the Hegu point and the Meridian associated with it. This Meridian, the large intestine, as it’s called, goes up arm through the jaw area into the head. It is a powerful master acupuncture point in the body and is frequently used in acupressure. So, what happened? I was actually quite surprised that I felt 30 to 40% less discomfort than usual. Still, when the hygienist poked deep and hard with her probe, I felt discomfort – but not as much as usual. The same thing with the ultrasonic scaler: It was less painful than usual. One of the other things I noticed almost immediately is that I felt a lot more relaxed. 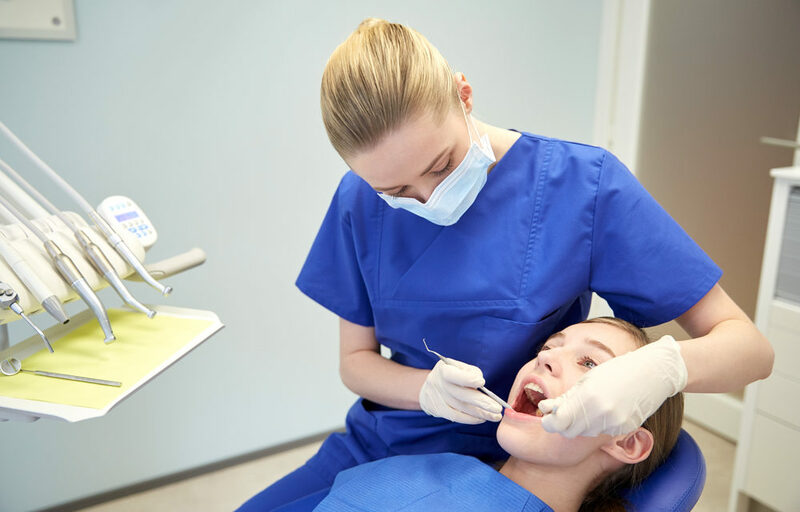 Obviously, when you are relaxed during dental procedures, you feel less discomfort as well. In the past, I’ve also had to have 3 titanium dental implants placed, as well as implanted bone material to build up the places where the implants would be placed. Because I use magnetic therapies a lot, I experienced a lot less discomfort and swelling. Also, the dentist who placed the implants was surprised to find that my bone over grew the implant. When I asked whether this was a bad thing, the dentist said very sharply, absolutely not! In fact, he said this means that the implants took better. 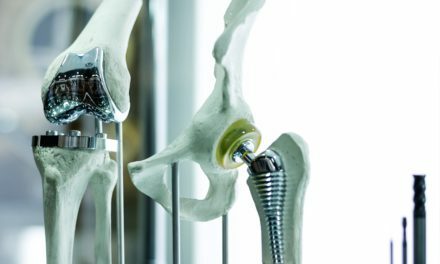 There is always the risk that the body will reject the implants if the bone and the tissues are not strong enough. So, to him this was at year very good sign that the implants would work and last. Although I never did it for my dental hygiene visit, the FlexPulse coils could be placed on either side of the jaw, during dental procedures, with the control unit in a shirt pocket. 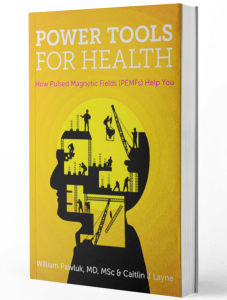 The magnetic field produced by the PEMFs coils will be strongest right next to the skin and should not bother the hygienist or dentist. You should tell the dentist and hygienist what you are doing and why. You probably shouldn’t use this on the jaw areas during a procedure if the dentist or hygienist tells you that they are electrosensitive. The PEMF should not interfere with any of the dental equipment. You should take the coils off if you are having x-rays. Magnets are also used by some dentists to help keep dental prosthetics in place and even in orthodontia to help to straighten teeth. There are numerous studies that have shown the use of magnets, and pulsed magnetic fields, for the treatment of periodontal disease. Magnetic therapy has also been used to treat dental infections and abscesses. Magnetic therapy can help to ease dental or jaw pain, caused by dental caries or abscesses. However, routine dental care should still be used, as well as antibiotics as indicated. The magnetic therapies in these situations, would accelerate healing as well as reduce pain and discomfort. I have also recommended magnetic therapies to young people having impacted wisdom teeth removed. This would also apply to any tooth it has to be removed. Using magnetic therapy after the tooth removal procedure, decreases the swelling, reduces the healing time and dramatically reduces the discomfort. My nephew, who did this, did not need any pain medication at all following his extractions. He did look like a chipmunk temporarily, however! 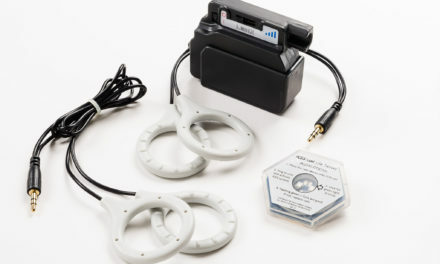 I personally also use a “water pik” type irrigator that magnetically treats the irrigant solution. The device is called a Hydrofloss. Research has found that treating the irrigant solution with a properly placed magnet can significantly decrease formation of gingival calculus and plaque, by about 44%. While the Hydro floss people don’t recommend this, I place a dropper of an herb called Phytodent, some colloidal silver (10 sprays of ACS 200 or 1 cap full of other colloidal silver), and a cap full of Under The Gums (only obtainable through a dentist) in the reservoir and stir them up. I then use the irrigant to floss my gums. I have found over the years that this significantly reduces the amount of plaque formation and the amount of gum irritability. So, this is a very important tool for those people have significant periodontal problems and recurring plaque formation. Asking your dentist about whether you should use magnets or PEMFs for your dental problems will probably result in a quizzical look or maybe even a scornful look. Dentists are like many doctors, who have no knowledge about PEMFs and unfortunately may discourage their use because of that. If you’re reading this article then, you are going to be more informed than your dentist or hygienist. If you want to talk to your dentist about it, I would suggest printing this article and showing it to the dentist. So, if you have a PEMF system at home, you can use the pillow and/or probe applicator for dental applications, while in the home setting. A visit to the dentist may require you to have a portable PEMF system, such as the FlexPulse. To conclude, don’t forget that magnetic therapy and PEMF systems can be a very helpful ancillary treatment for all sorts of dental situations, not only for pain reduction but also for accelerating healing enhancing periodontal care. CLINICAL EVALUATION OF ELECTROMAGNETIC STIMULATION DURING POST-SURGICAL HEALING OF PERIODONTAL DEFECTS (MEETING ABSTRACT). Steffensen, B.; Caffesse, R.; Rabbini, G.; Yamada, Y.; Avery, J. K. Bioelectrical Repair and Growth Society (BRAGS), Vol. V, 5th Annual Meeting, 13-16 October, Boston, MA, p. 56, 1985. Depts. of Oral Biology, Periodontics, and Occlusion, Sch. of Dentistry, The Univ. of Michigan. TREATMENT OF PERIODONTITIS WITH THE HELP OF A CONSTANT MAGNETIC FIELD. Efanov, O. I.; Djafarova, A. D.; et al. Vopr Kurortol Fizioter Lech Fiz Kult (3):28-30, 1992. Semashko Moscow Stomatology Medical Inst., Moscow, Russia. CLINICAL EFFECTS OF ELECTROMAGNETIC STIMULATION AS AN ADJUNCT TO PERIODONTAL THERAPY. Steffensen, B.; Caffesse, R. G.; Hanks, C. T.; Avery, J. K.; Wright, N. J Periodontol 59(1):46-52, 1988. THE EFFECT OF ORAL IRRIGATION WITH A MAGNETIC WATER TREATMENT DEVICE ON PLAQUE AND CALCULUS. Watt, D. L.; Rosenfelder, C.; Sutton, C. D. J Clin Periodontol 20(5):314-317, 1993.